Prathu's Food: Methi Palak Dal - Passionate Cooking for Vegeterian Food. Today I am posting a very healthy and tasty andhra style dal using palak, methi. Usually we prepare palak or methi individually but it tastes heavenly when used combined. I am posting this on Shh Secretly Cooking hosted by priya of Priyas Versatile Recipes . This month my partner is shama Naga Rajan of Easy2cookrecipes. She gave me green chillies, raw banana. 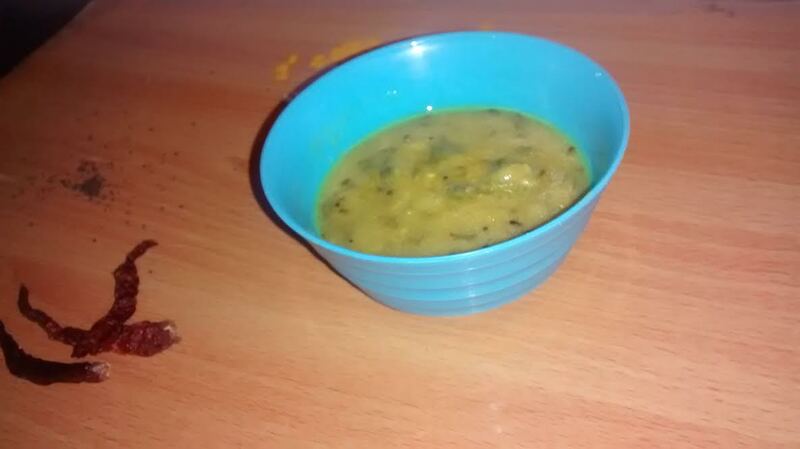 I used green chillies and made this dal. Now take a vessel and add boiled toor dal, turmeric powder, tamarind extraxt(squeze tamarind to get a thick juice and throw away the pulp), salt and water for desired consistancy and ccok in simmer. Switch of the stove after 15 mintues and transfer to a serving bowl. Now heat oil in a kadai, add red chillies, mustard seeds and let it splutte, then add urad then jeera and add hing and curry leaves. Take off from stove and add to dal, mix with a ladle to mix properly with dal and close with a lid not to loose tamper flavor. Can be enjoyed with hot steamed rice and rotis too.